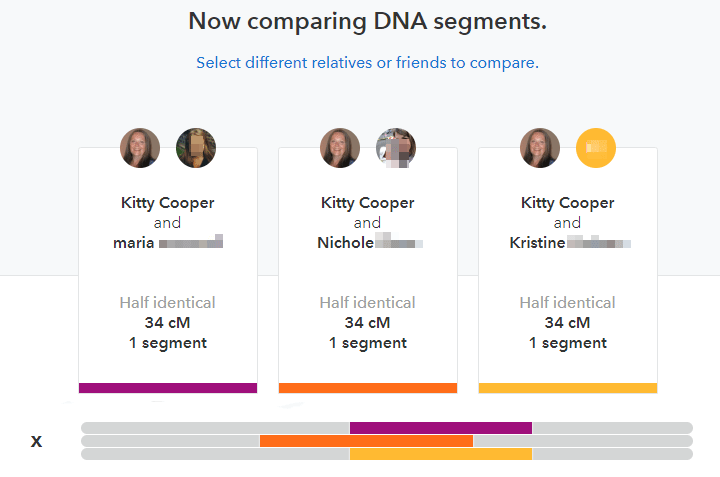 It is so delightful that you can now easily view your past correspondence with a 23andme match! 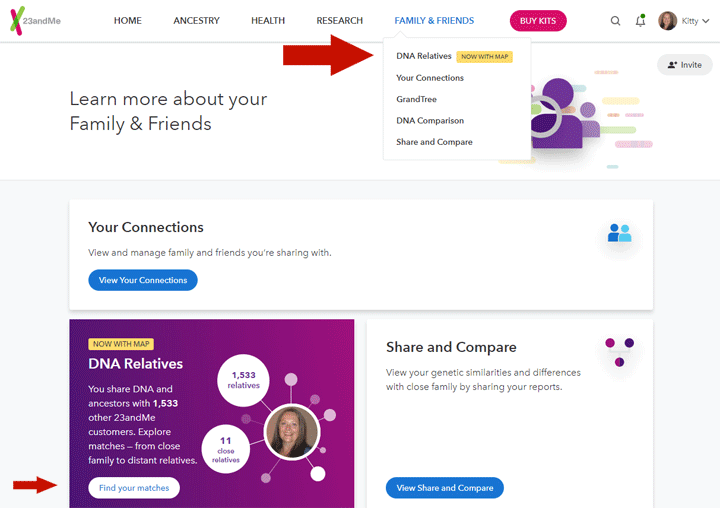 To do this go to DNA relatives, which defaults to the People section, and click on the person. 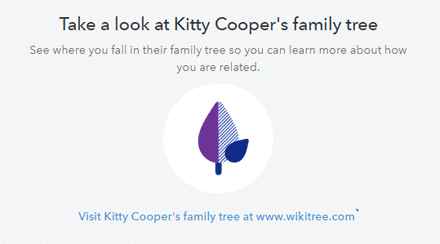 This takes you to a one-to-one comparison page partially shown below. Your most recent message will appear in a box in the right hand column and you can scroll back in that box to see previous messages, both sent and received. Not all my oldest messages are there and I am not sure why. I did find one from 2012 and all the ones since 2014 seem to be available. I used to have to use the chrome add-on 23++ in order to search my inbox or outbox which took a long time with four years worth of messages to search. Sometimes it even crashed! This is much better. Can’t find the person? 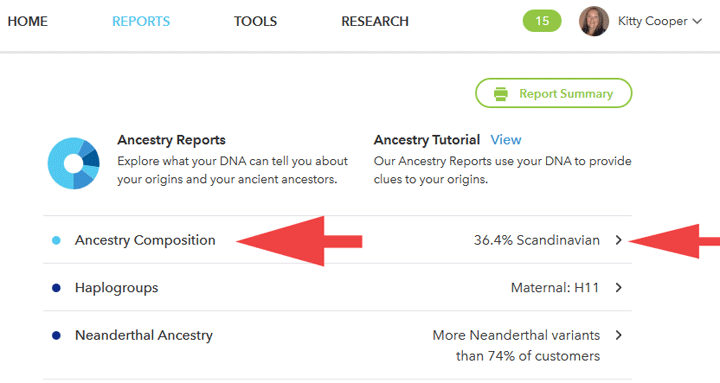 You can use the search box on the right in the People view to find them, an improvement over the first roll-out of the new site. 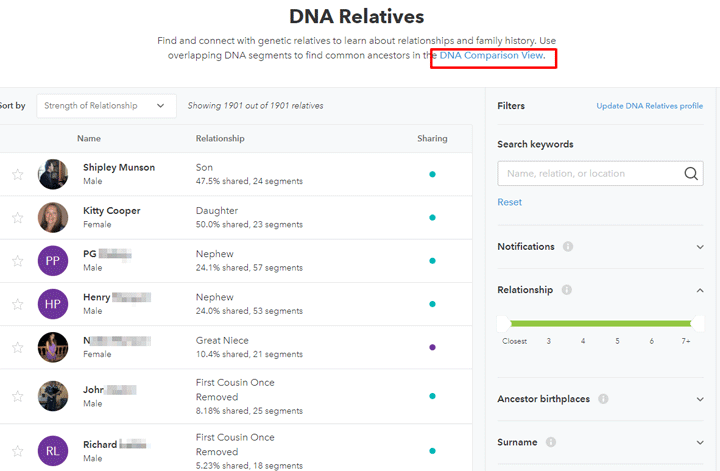 Note that the search in the DNA view works immediately as you type, no buttons to push, while the search in this People view requires you to press return. Annoying that they are different.